Give you eye lashes an intense dark color and volume with the Mascara Super Volume. You can get it for free from The Body Shop and it is worth £10. All you have to do is create a free account on TopCashBack website and then follow the link to the Body Shop store. 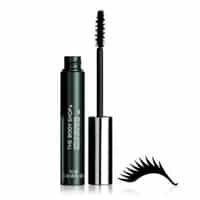 Purchase the mascara from the shop and you will receive a full cashback. Click on “GET IT HERE” button and then register for a free account on TopCashBack website to claim your free mascara.